The smiling faces of our volunteers are the first people you see as you enter the hospital. 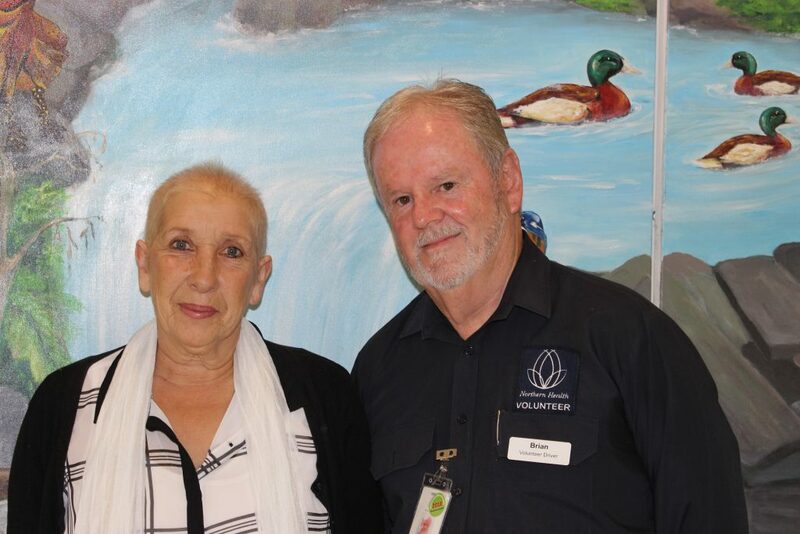 Our volunteers form an integral part of how the hospital operates and help us to provide trusted care to our community. Brian Hoctor is a volunteer driver who has been with Northern Health for five years, and is a wonderful example of true community spirit. His role is to drive patients receiving chemotherapy or dialysis to and from their appointments at the hospital, and to make sure they are settled, comfortable and feel safe. Brian feels he is very much on a journey with the patients he brings in, providing comfort and an ear to listen. He refers to the front passenger seat of his car as a ‘confessional’, as the people he drives around tend to open up to him. “These people are scared, they don’t know what they’re in for, they’re going to chemo or they’re going to dialysis, so the front seat of my car is very much like a confessional. It’s very honest and it’s like the chair that tells the truth,” Brian says. Lynda Williams is one of those passengers, and is very grateful to Northern Hospital for the opportunity of meeting Brian. “Brian is genuine and caring. He’s always listened to me, but never given advice, just listened. He’s stopped many tears and he’s made me laugh,” Lynda says. A cancer sufferer himself, Brian forms close bonds with his passengers, as he can relate to the hardships they are facing. He says that sometimes he does struggle with emotional attachment. “When you’re picking up the same person for two or three years, you get pretty close to them and you feel you are part of their lives. It’s a struggle to let go, but you have to let go and let them rest in peace,” Brian says. 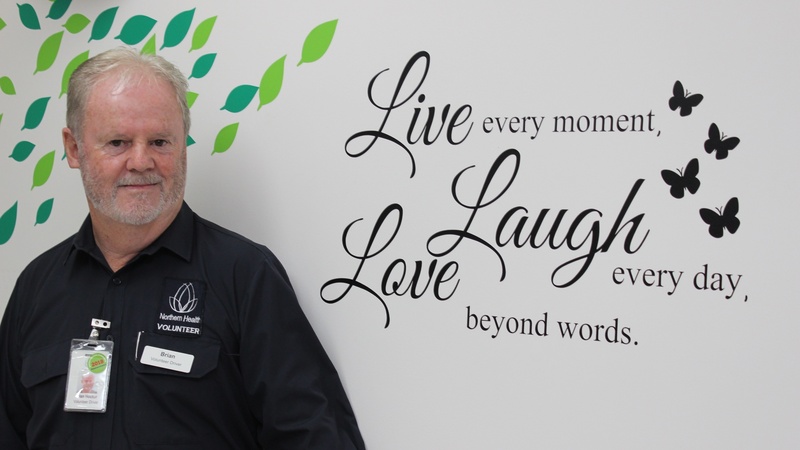 Brian brings a lot to the lives of the people he drives around, but says volunteering at Northern Health has also brought a lot to his life. “I’ve learnt to be more humble, I’ve learnt to smile on the outside and I’ve learnt to be compassionate,” he says.